Irvine, CA – Today, JNR Incorporated announced their involvement in the first-ever Global Meetings Industry Day (GMID). 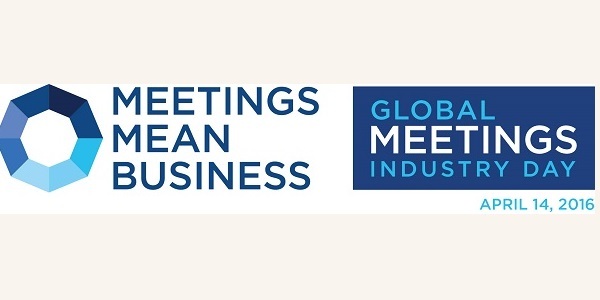 On April 14, 2016, they will join forces with the advocacy coalition Meetings Mean Business (MMB) to showcase the real impact that business meetings, conferences, conventions, Incentive Travel, trade shows and exhibitions have on people, business and communities. “With the help of organizations such as JNR Incorporated, we will demonstrate the critical role our industry plays in building personal relationships, driving positive outcomes and supporting strong communities,” said Michael Dominguez, MMB co-chair and senior vice president of corporate sales at MGM Resorts International. “Well executed Meetings and Events have a profound impact on an organization’s growth and success. There is so much value in face time and idea sharing that can only be had when organizations come together on a large scale. Getting people out of the office and into an environment where the sole purpose is to inspire, motivate, respect and show appreciation to employees is powerful. ” said Barbara Williamson, Director of Marketing at JNR. She continues, “This has to be done correctly though. You are asking your most valuable people to take time out of their already busy schedule to attend, the event must surpass their expectations.” Choosing the right Meeting and Event partner is an important choice. Companies like JNR understand the intricacies of making an event work. JNR Incorporated is a globally recognized leader specializing in creating custom programs that motivate, engage and reward the employees, customers and channel members of our Fortune 1000 clients. For over 35 years, JNR has designed and delivered a comprehensive suite of solutions including Incentive Travel, prepaid reward and gift cards, meetings and conferences, events and entertainment, technology solutions and marketing communications. Our programs produce measurable results and are proven to increase performance, loyalty and revenues. www.jnrcorp.com. 800.343.4546.